Prehistoric peoples and many historic Indian tribes lived in this area. The lake’s name comes from one of the tribes – the Tawakoni. Ranchers and farmers settled this land before the lake’s construction in 1960. The Sa­bine Riv­er Au­thor­ity op­er­ates the res­er­voir and Iron Bridge Dam. The reservoir's main purpose is to provide water for nearby communities and the city of Dallas. The shoreline stretches about 200 miles, through Hunt, Rains and Van Zandt counties. 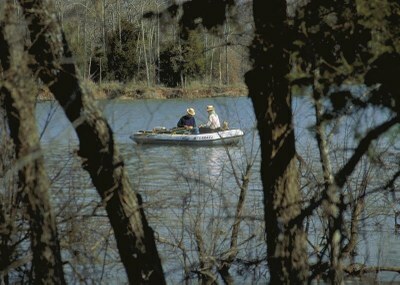 Lake Tawakoni also provides water recreation for central northeast Texas residents. Lake Tawakoni State Park is a 376.3-acre park in Hunt County. It has 5.2 miles of shoreline along the south central side of the reservoir. TPWD operates the park under a lease agreement with the Sabine River Authority. It opened on Feb. 13, 2002.